Good morning ladies. 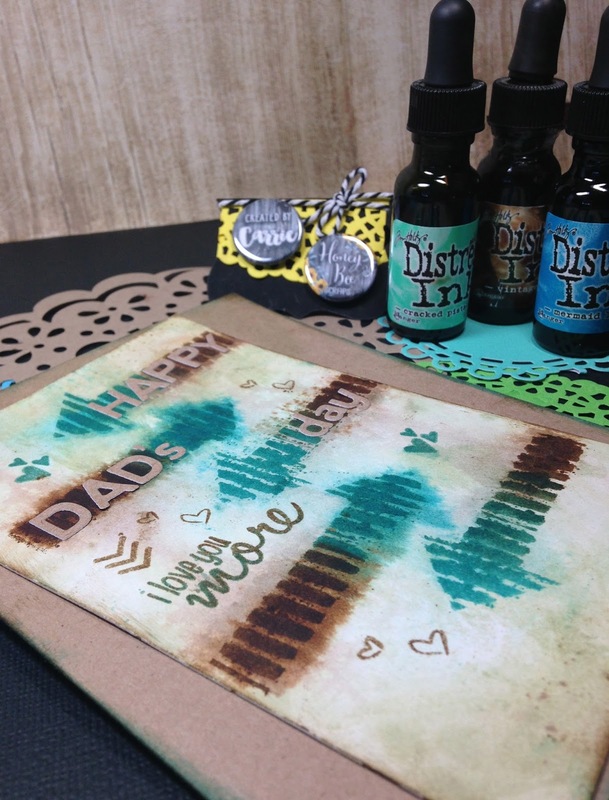 Today I am sharing a Father’s day card I created featuring the #HoneyBeeScraps stamp set “Oh Snap” and my favorite Ranger Distress Re-inkers. 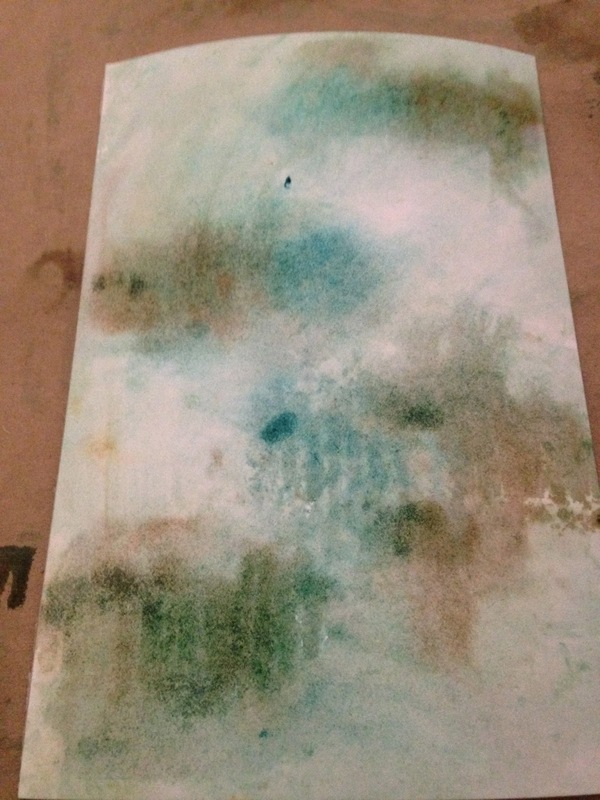 To create this card I started with a 4×6 sheet of Mixed Media paper Spritzed with water. 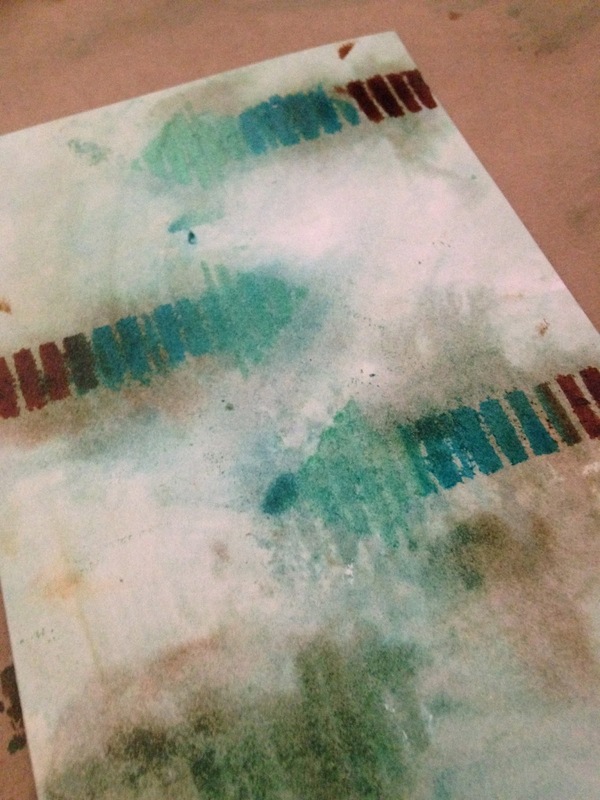 Using an arrow stencil and a simple cosmetic sponge I dabbed three different colors of Distress ink to my wet paper. I flipped my stencil and repeated the design several times on my card. Since my paper was still wet the ink ran down my card. You can still see the shape of the arrow with the “bleeding” ink. I then took a baby wipe and dabbed my card to spread the ink over my card. 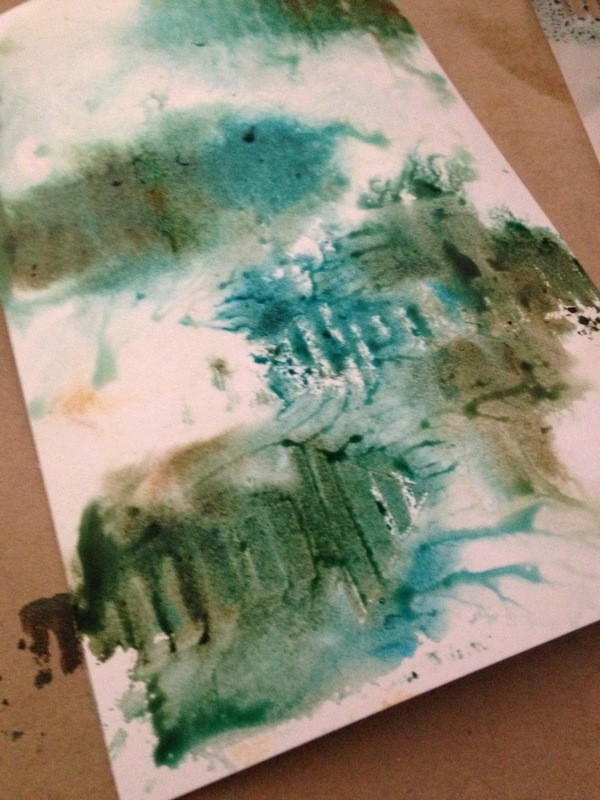 This also helps to soak up the excess ink. 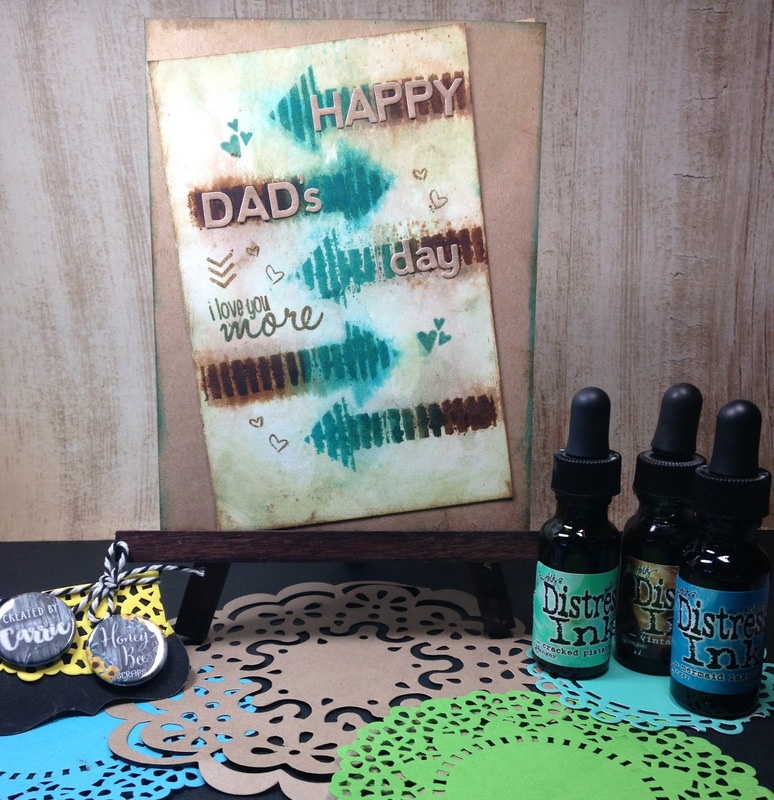 Once my card was dry I then re-stenciled my arrows for a more concentrated look. After my card was dry again. I stamped my sentiment from the “OH Snap” Stamp set. I love you more. To embellish my card I stamped the mini chevron as arrows pointing to my sentiment and I scattered some of the tiny hears around too. In my house we always say Happy Dad’s Day! So I added that title with some mini Kraft sticker letters. I Really love the Distress look of my card and I am sure my Father In-law will love it too.